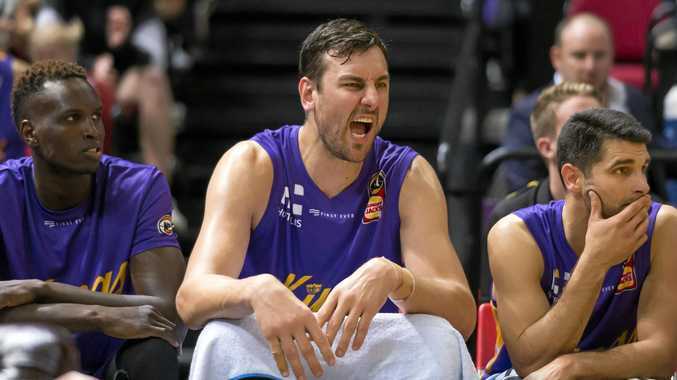 ANDREW Bogut's much-anticipated NBL debut couldn't help the Sydney Kings break their Adelaide hoodoo, as a late 36ers' run secured a 94-83 win on Saturday. The vast majority of a bumper 10,761 crowd left Qudos Bank Arena disappointed after Sydney crashed down the stretch. Sydney led by six in the final quarter but a 19-2 Adelaide run to end the game delivered the South Australian side's 10th straight victory over the Kings. Bogut fouled out with 90 seconds to go after scoring six points on two-of-nine shooting - he also weighed in with 14 rebounds, four blocks and four assists. "I thought he rebounded the ball really well," Kings coach Andrew Gaze said. "I think, like anyone, there were a little nerves. There were a few nerves in there. "He doesn't show it a lot. I think he showed great leadership throughout the game. He, along with everyone, will look at his own performance and say there were a few breakdowns there, a few missed opportunities. "We need to find that really quick because, in this league, it's a really, really tough league… he's all about winning. Bogut was the rebound king for Sydney with 10 in the first quarter alone. "He couldn't give a rat's toss bag about anything other than the final result., and clearly he'd be very disappointed because of that." For Adelaide, 36ers captain Daniel Johnson scored 22 points and collected 10 boards, while Nathan Sobey contributed 21. "Totally different players. 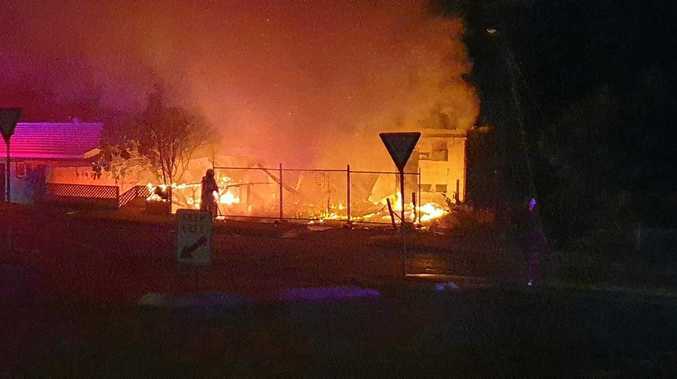 Totally different players," 36ers head coach, Joey Wright, said after the game, of Johnson and Bogut. "DJ's a moving, slashing five," Wright added, with a grin. "He can do a little bit of everything, so we like our DJ." Bogut endured a tough first few minutes, missing his first four shots, while the former NBA star's direct opponent Johnson coolly produced Adelaide's first eight points. A partisan crowd was finally able to chant "MVP" when Bogut belatedly nailed his fifth field goal attempt. Point guard Jerome Randle led the Kings scoring with 28 while recruits Daniel Kickert and Brian Bowen contributing 14 and 13 respectively. Adelaide were in control for the majority of the opening round clash and led by as much as nine in the second quarter until a six-point spurt from Bowen cut the Kings' deficit to one at half-time. Brad Newley gave Sydney their first lead early in the third quarter and although they led by three at the start of the final term, the 36ers showed ample composure down the stretch. "We weren't able to convert some plays on the offensive end, and I think, defensively, we got exposed," Gaze said. Gaze said: "We went in with game plan to say, well, we've gotta make sure to keep them in front… with that, we had rules about switching, and there were a few breakdowns we had throughout the course of the game. "Early on, we got exposed to that, more than later. Down the stretch, the ease with which they were able to score was a concern. We mixed it up a little bit. We were in some zone." Gaze lauded his team committing just nine turnovers for the game, but saw that as something indicative of the way the Kings played. "That's indicative of the passive approach we had," Gaze said of the Kings' small number of turnovers. "I think we we need to find the balance, a little bit more, of being able to say, there are certain times we need some help for each other, we're gonna need to play through the overplay, play through what they're trying to do, and create better scoring opportunities. "At the end of the day, it also comes down to putting the ball in the hole." 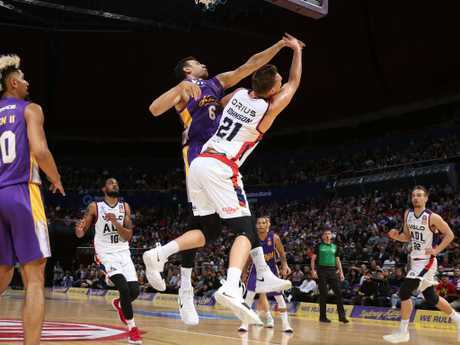 The Kings and 36ers are set for a quick turnaround, with the two teams facing each other again on October 19, but this time in Adelaide's Titanium Security Arena.